Good morning, lovelies! I don't know exactly when this started happening, but it is below 40 degrees every morning here in Sav and I'm not sure how I feel about it, lol. I'm one of those people who truly does appreciate every season and the weather that comes along with it, (I enjoy switching things up!) however, this florida girl is having a tough time enjoying the ALMOST FREEZING cold weather. Thank the lord I decided to ask for more cold weather clothes for Christmas because without long sleeves, sweatshirts, and coats, I would stay in my bed and hibernate until winter was over. I've always said dressing for cold weather is much cuter, but I've learned that sometimes it's hard to pull things off without looking like a marshmallow or a hobo. Keeping warm during winter is a must though, so dressing practical and cute at the same time is something we all should learn to master. One of the hardest things for me to pull off is wearing a beanie while still looking put together. Beanies can be a pain because most of the time after you've been wearing it all day and take it off, your hair is usually messy or flat. That being said, it's important to wear a hairstyle underneath the beanie that's going to stay put or still look cute once the beanie is removed. 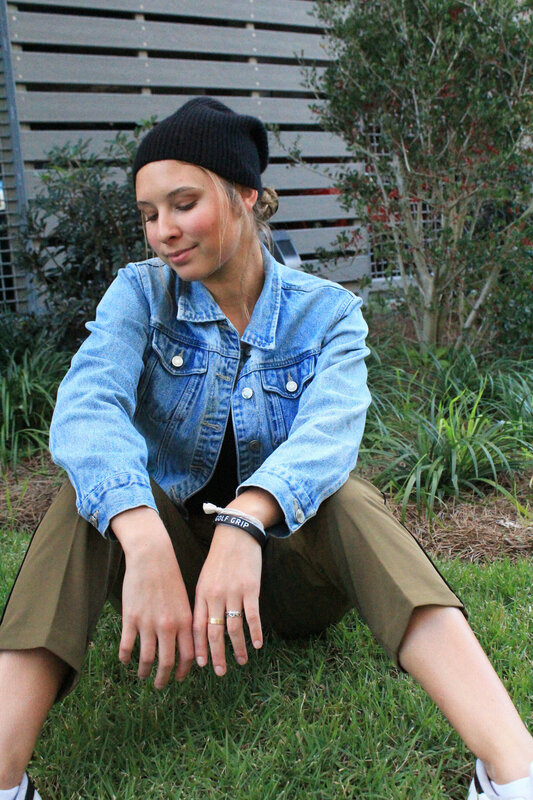 Today I'm doing just that and sharing 3 hairstyles that don't require heat, look cute with a beanie on, AND STILL look cute once the beanie is taken off. The third look is definitely my favorite, btw, so scroll scroll scroll. 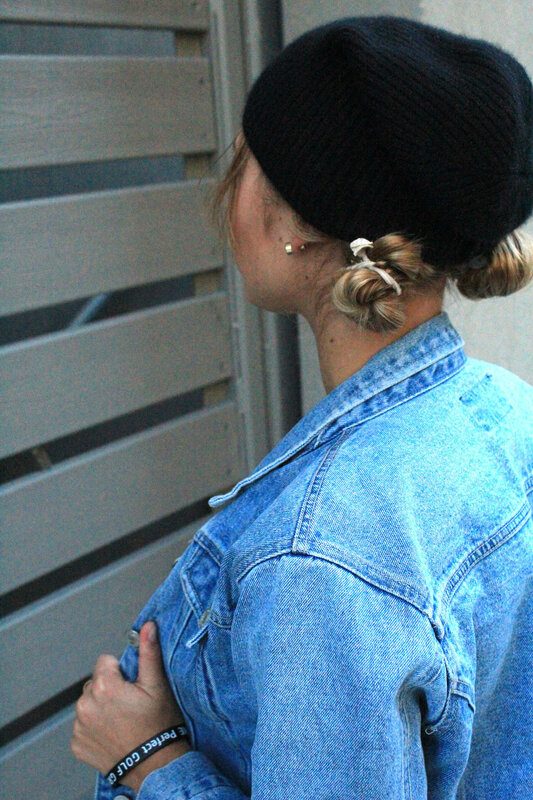 Low space buns are perfect to wear with beanies because they're low enough for the beanie to rest nicely on top of the buns (inspo from allthingshair.com). Yes, it's important to keep the buns as sleek as possible underneath the beanie, so your hair won't look like it's messed up when you take it off. However, it's also important to pull some pieces in the front surrounding your face out so when you have the beanie on, you don't look bald, lol! 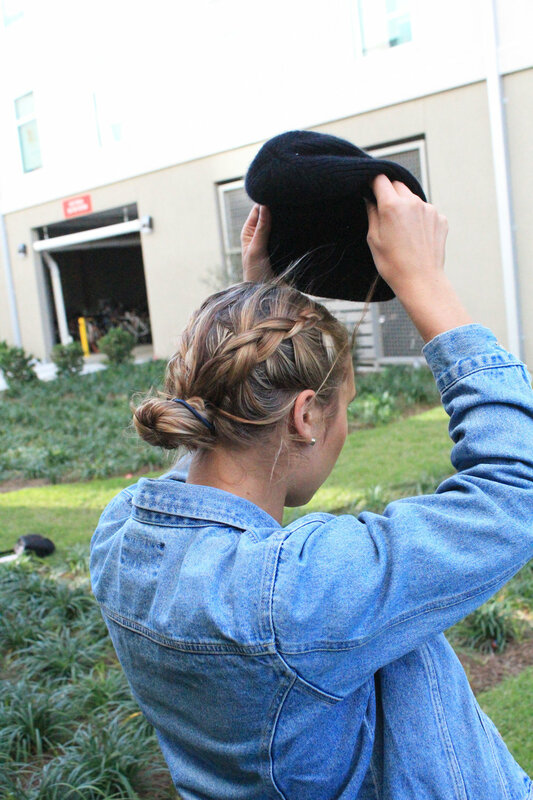 These double french braids are so fun to wear with a beanie because when it's on, it just looks like a normal bun, however when the beanie comes off BAM, it's chic french braids. Keeping the braids tighter will definitely ensure that your hair stays in place, however like I said with the space buns, pull some pieces out so you don't look too bald, lol. This look is also a bit more girly and playful, so it really just depends on what you're going for. So one of my favorite ways to wear a beanie, if you can't already tell, is with double the braids or buns. I especially love wearing a beanie with pigtail braids; braids that fall in the front rather than the back because beanies tend to make you look like you don't have hair if there's none showing in the front! I feel like a regular braid is pretty basic and I'm always trying to create looks that are more complex than average, so I thought fish tail braids would look dope with a beanie! Andddd I was right. It's funny because before creating this look, I totally forgot about fishtail braids, but I'm so digging' them again. This is definitely my new favorite way to rock a beanie. If any of y'all recreate these looks, definitely message me or send me a pic over social medias! I always love seeing how you guys take looks and make them your own. Stay warm out there! Also, check my Instagram @justmands to find out what I'm wearing in these photos!